Last week I flew out to Salt Lake City for the bi-annual Ocean Sciences meeting, bringing together 4300 scientists from around the world to discuss the current state of the ocean and present their latest findings. To mark the occasion and pass the time on a series of long flights, I loaded my kindle with my latest addiction, Amazon singles – short form ebooks, longer than a standard article, but shorter than a full book (and really convenient for an hour layover). In honor of the Oceans meeting, the flavor of the downloaded books was disaster and survival at sea. In Here Be Monsters, Michael Finkel tells the story of three teenagers from the tiny Pacific Island of Tokelau who, on a dare, stole a relative’s boat and tried to sail to a neighboring island. After less than a week, they ran out of both gas and provisions and found themselves floating, helplessly, through the Pacific Ocean. They would be rescued 50 days later. 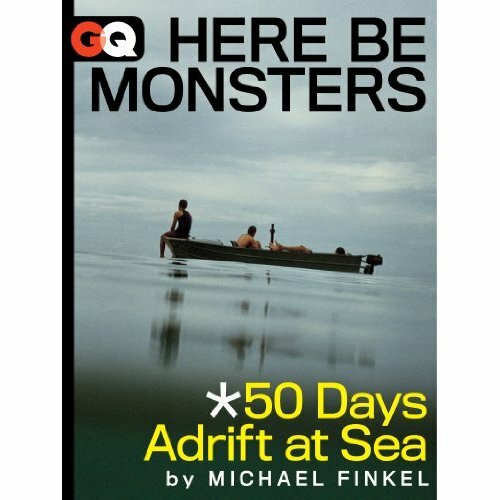 Through interviews with the three boys, their family, friends, and maritime professionals, Finkel recreates those 50 days. What began as a liquor fueled adventure quickly turned into a struggle for survival. Each day takes the boys further from home and hope for rescue. With no fishing gear, they had no way to acquire food. In the entire 2 months they had nothing to eat but a few dozen coconuts and a few fingerlings that washed into the boat – a small, open craft that provided no shelter and constantly flooded. Near the end, they briefly flirted with violence and discussed the last option of those stranded at sea. Finkel estimates that in all the annals of survival at sea, the ordeal of these three boys is dwarfed only by the crew of the whaleship Essex. While there have been those set adrift longer, in harsher seas, none were as poorly prepared as these three, who had no supplies, no practical knowledge of the open ocean, and little fishing experience. That they survived at all is a testament to the resilience of the human body. If Here Be Monsters is a testament to the resilience of youth, than Fatal Voyage, by John Hooper, is a testament to how quickly experience, mixed with hubris, can become fatal. Hooper provides the first (though certainly not the last, and probably not the authoritative) account of the wreck of the Costa Concordia, the cruise ship that, earlier this year, struck rocks off the coast of Giglio and sank, though not before the captain managed to steer it into a shallow bank, a maneuver that likely saved hundreds of lives and would be the sole note of praise for the now-disgraced Captain Schettino. Hooper pulls together the personal accounts of several guests and crew members to recreate the events leading up to the wreck and the frantic hours when panicked guests and an unguided crew coordinated an evacuation of a ship that, listing heavily to one side, had already been abandoned by its captain. Even with so much chaos and confusion, the crew still managed to evacuate thousands of passengers in the span of a few hours. Not everyone made it out, and while Hooper highlights a few that survived inside the sideways vessels – a crewmember with a broken leg trapped in the dining room who survived off waterlogged rations and a couple trapped in their stateroom sharing a lifejacket for warmth – there were, at the time of Fatal Voyage’s printing, 17 casualties. Fatal Voyage paints a picture of a disaster on a titanic scale. The wreck of the Concordia is the largest maritime disaster in Italy’s history. That so many made it out alive is a testament to both the skill of the crew and the singular decision of the captain to save the ship, after his own poor judgment drove the Costa Concordia aground and before he totally and completely lost his mind. 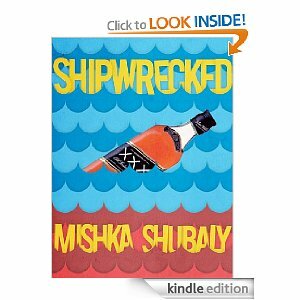 And finally there’s Shipwrecked, an autobiographical tale by Mishka Shubaly about his time aboard the Breath – a home-built sailboat – and its eventual grounding in the Bahamas. Shubaly, a young man who seems proud of his poor decision making skills joins a group of much older and experienced sailors. A series of unfortunate mechanical failures leaves the Breath without adequate steering and, in the night, strikes a jagged outcropping and becomes stuck. The crew abandons ship, makes it to shore, and, in the spirit of recreational boaters the world over, proceeds to get drunk on salvaged wine before passing out on the beach. When they awake in the morning, Shubaly sets off across the beach to find help at a town they think to be 25-miles away. What follows is one of the most surreal survival stories I’ve ever encountered. It is not that it is a terribly compelling story, or that Shubaly overcame seemingly insurmountable obstacles, but rather, that with the verve of a maudlin and self-obsessed parody of Werner Herzog, Shubaly recounts his journey, which took less than one day, in which he, still hung over, drinks all of his water, carries around a donkey skull, drinks his own urine, and is discovered by a team of sea turtle biologists. His companions, have, by this point, already been rescued. For reasons unknown, Shubaly dwells on how terrified he is of sharks and inelegantly attempts to tie his struggle for survival against impossible odds to the World Trade Center attack on September 11, 2001. Here Be Monsters shows us that some people can survive the harshest conditions by sheer force of will. Fatal Voyage shows us that no level of experience can compensate for hubris. Shipwrecked reminds us that some people really shouldn’t be allowed near the water. But the overarching message in all of these stories is that the ocean is more powerful than any of us, and can change everything without warning.